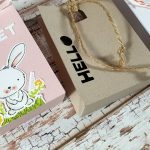 It’s time for 1 kit – 10 cards ! 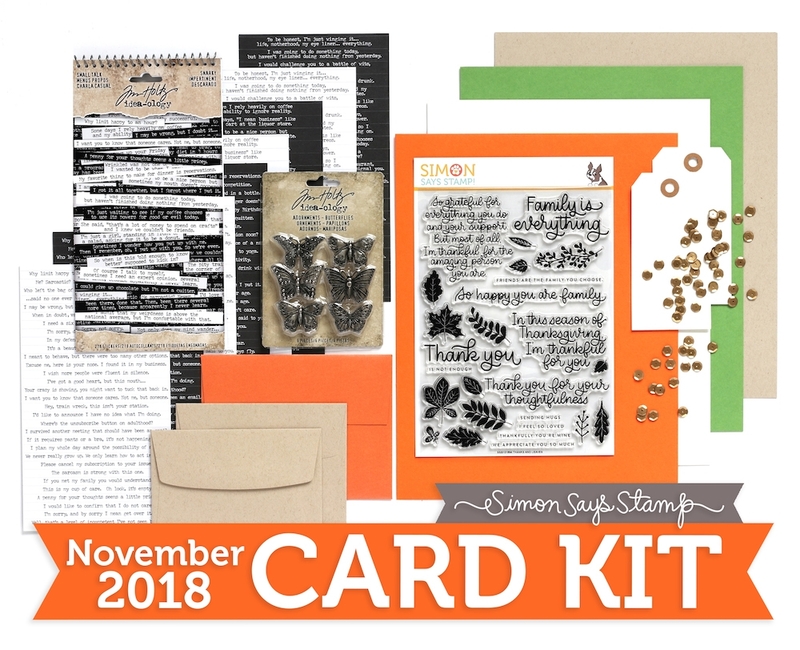 Have you seen the November card kit by SimonSaysStamp? 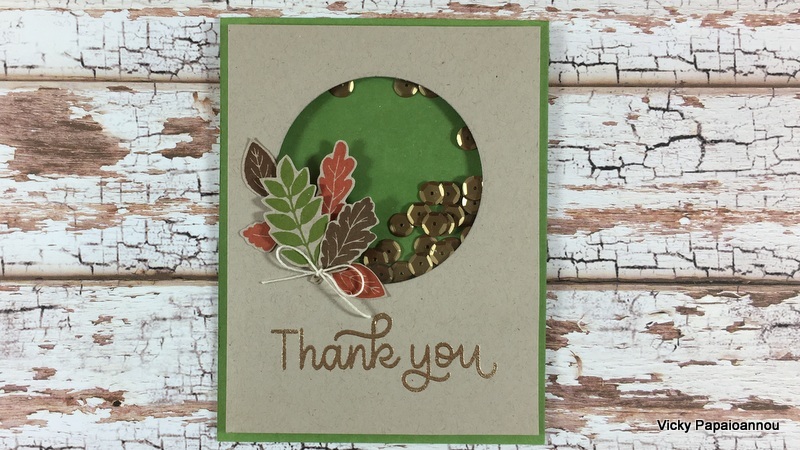 It’s called “Thanks & Leaves” including a big stamp set, many embellishments and lovely fall colors. 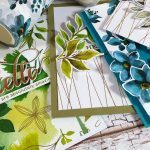 I am sharing 10 cards using products from the kit and hope to inspire you! There is also a giveaway so make sure to scroll down to learn all about it. The kit is still available for purchase but you can grab it’s contents individually too. 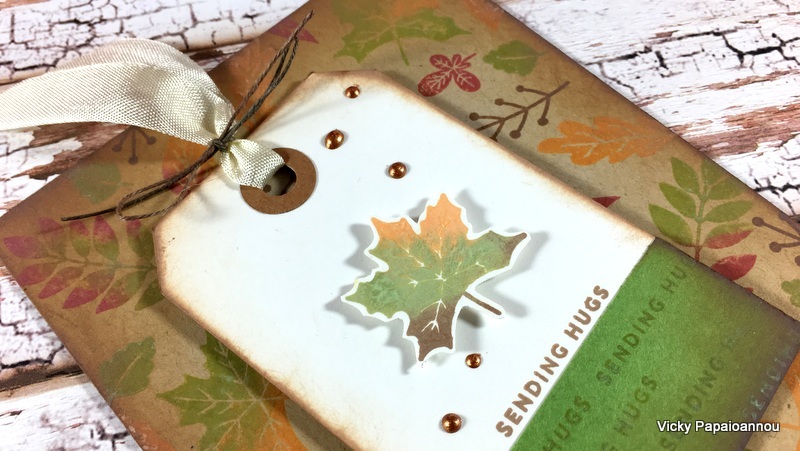 For example you can only get the stamp set which is packed with sentiments and a variation of leaves perfect for fall. 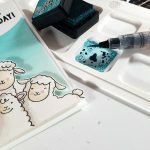 You will see me creating 10 cards below using this stamp set in each and every one of them! 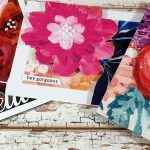 Below you can see close-up photos on all the cards that I shared in the above video. If you want to see a list of all the supplies used please scroll at the bottom of this post. The kit comes with two tags inside. So I thought to make cards using them, just to share a couple of ideas of how you can create cards with tags. For the first one I went with a busy fall background in a vintage style. For my second card with the tag I went clean and simple. 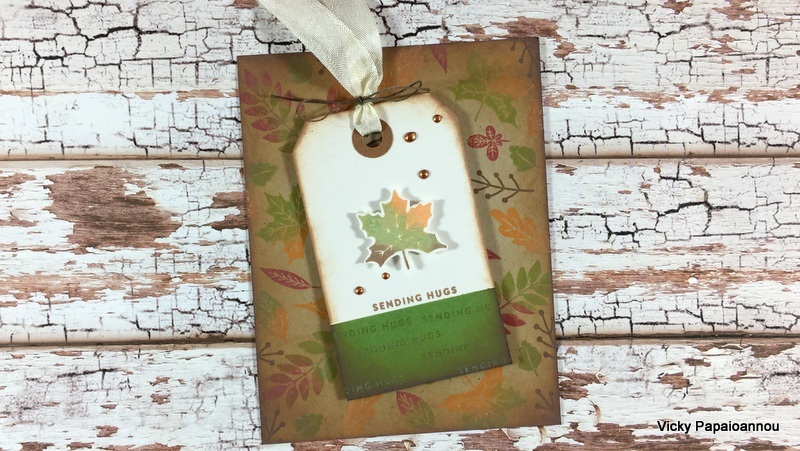 Just stamp the sentiment on the tag, add a ribbon and a leave and you are done. 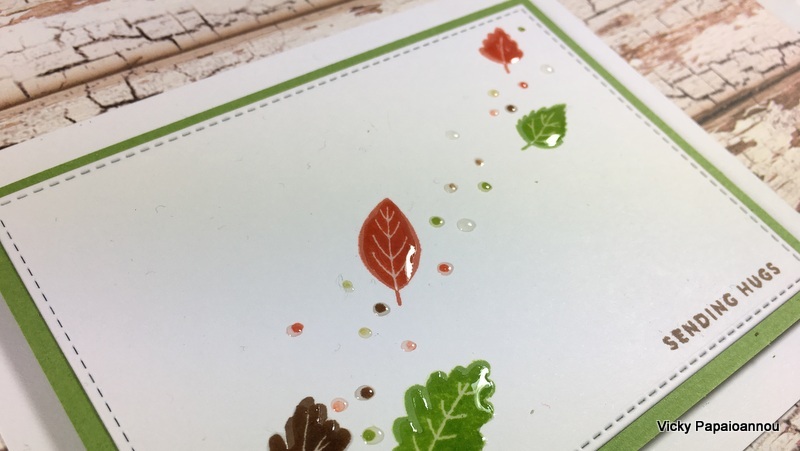 If you want to take it a step further you can use any background stamp to add a subtle detail on your card base. I used my polka dot stamp here for a tone on tone look. 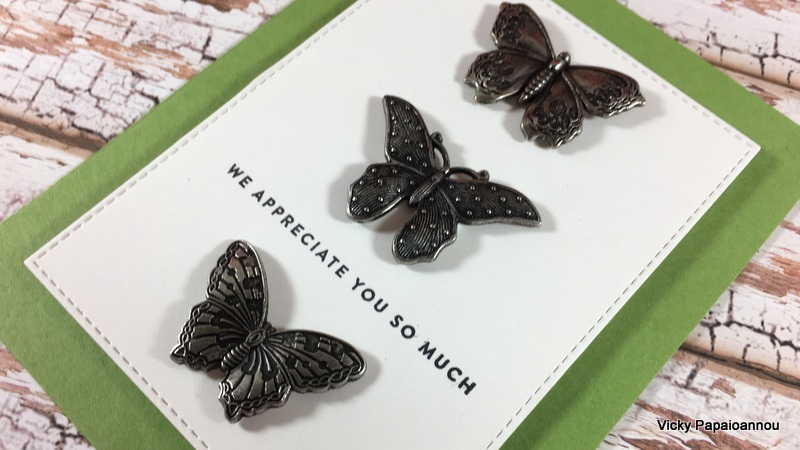 The kit also comes with a pack of metal butterflies. There are 6 in the package and I wanted to use them up all! So here we go! All three of the cards I made are on the clean and simple side again. 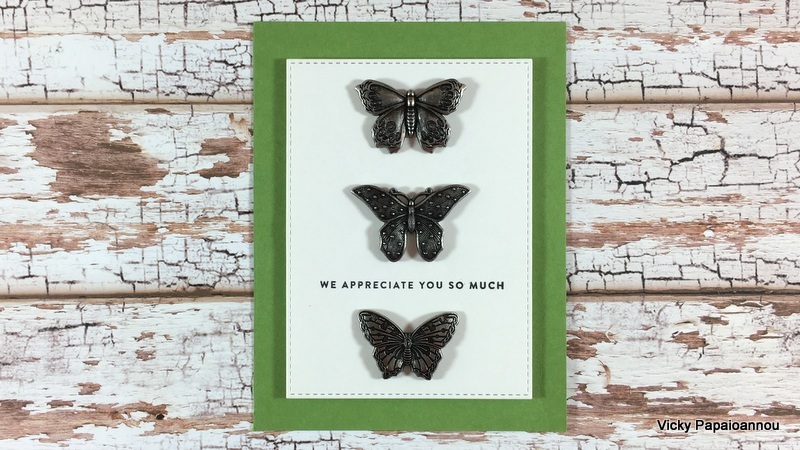 With such a heavy looking embellishment such as these butterflies it’s better to go simple. Another thing to consider is that you can use your alcohol markers to tint them… and turn them into any color you desire. 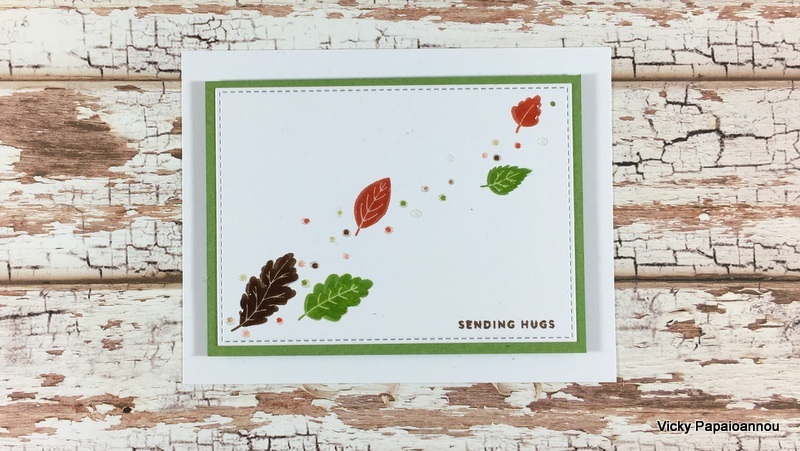 With the variety of leaves in this stamp set you can make so endless fall cards. Stamp them all over the background like I did in the first card or stamp them in line like I did here! … stamp them coming out from the corners…. 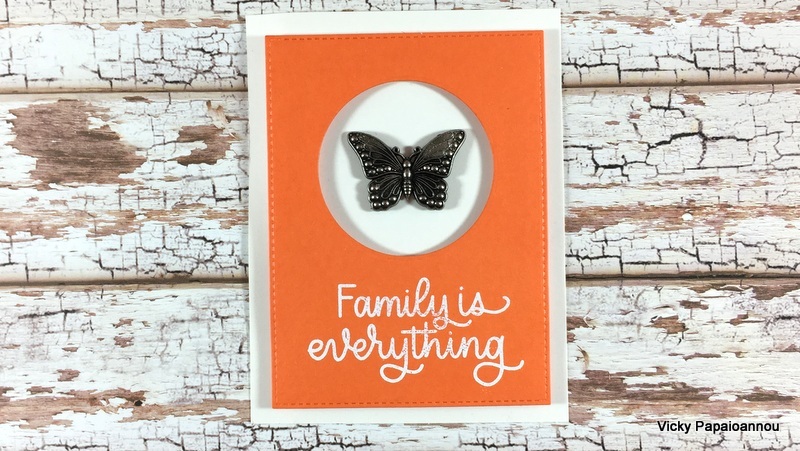 For the bigger sentiments included in the stamp set you can play with background techniques. Time to grab all those oxide ink background you have created or even your alcohol inked ones. Stamp your large sentiments on top and you are good to go! Below you can find a list with all the products used today. You can get the kit or it’s contents separately. 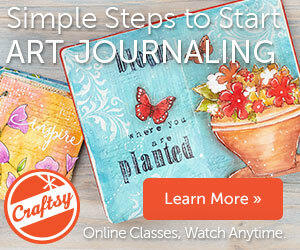 Affiliate links used where possible at no extra cost to you. All your cards are bautiful! My favorite is the Friendship Fall card. Thanks for sharing. Since I absolutely love trees and autumn leaves, this kit really got my attention. 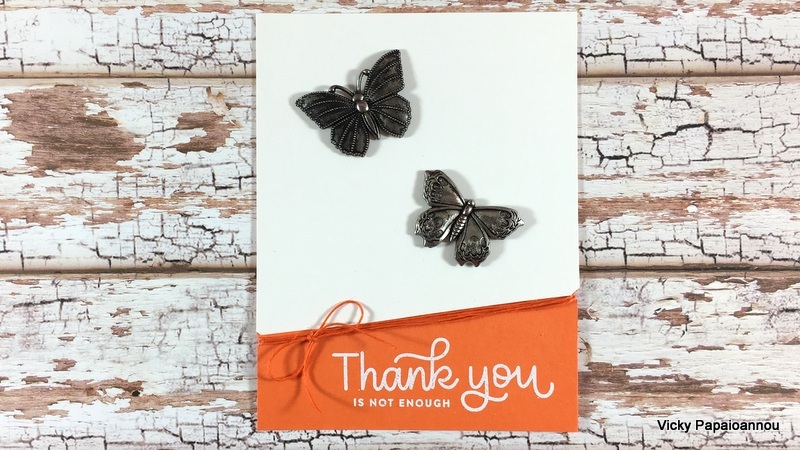 Add to it the feeling of gratitude from the wonderful sentiment stamps and I call this kit a Winner! I truly like ALL of your beautiful designs. But if I must pick a favorite, the first one as my choice. 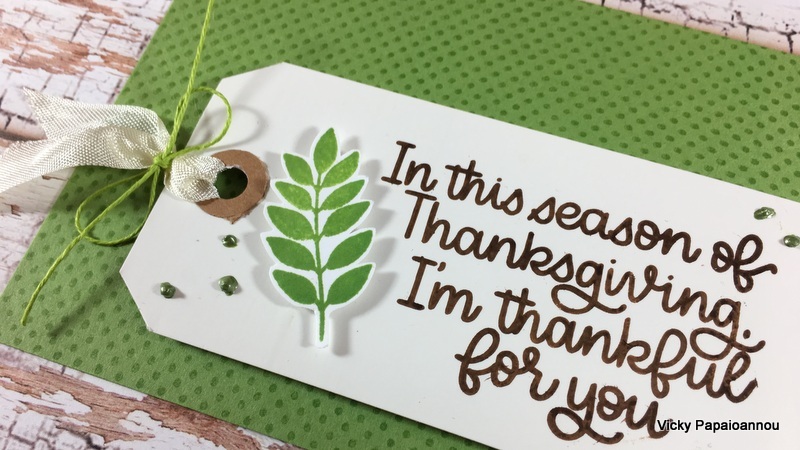 I love the way you inked more than one color on the leaves and the way you added the tag featuring one lovely leaf as a focal point. Beautiful job as always, Vicky. Thanks for the chance to win. 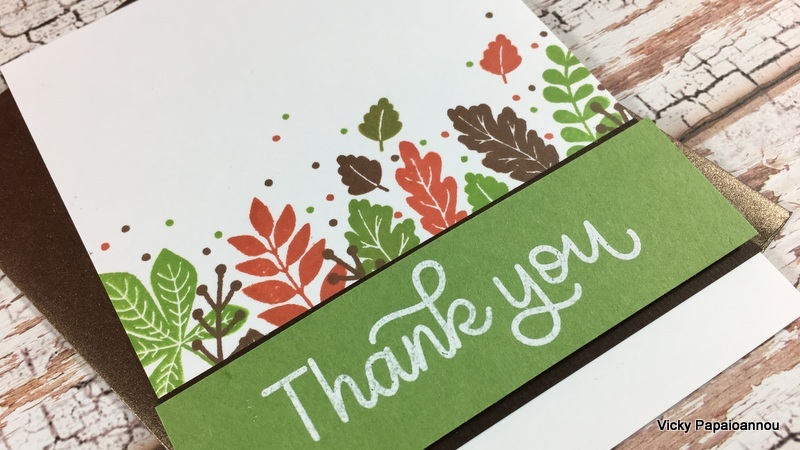 My favorite card from this lot is the Fall Thank You card. I love all of your work. I have been watching your videos. Watching you is more fun than watching TV! The kit has my favourite color combos ! 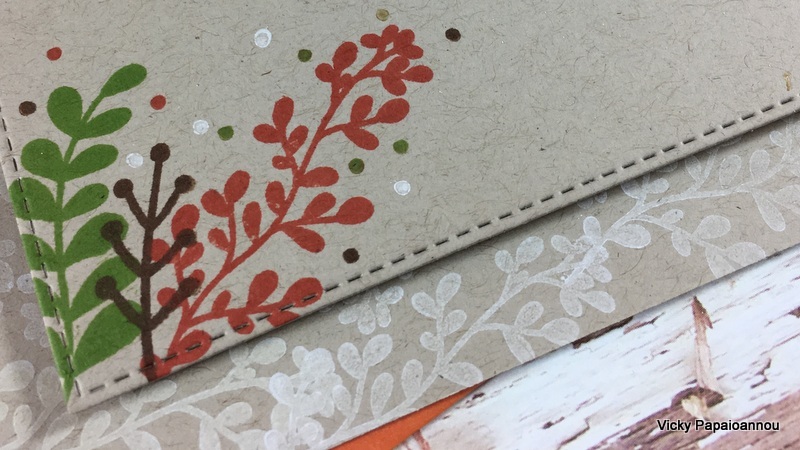 But this white ink on kraft paper that you did at the fall friendship card it was so inspiring! It is too hard to chose only one card and to define it as the most beautiful. Every card of this set has its own charm. 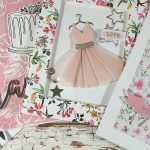 This kit gives many opportunities to be creative and your ideas, Vicky are very inspired. Thank you! Hi Vicki! Its si hard to choose just one! I’m torn between the fall shaker card & big sentiment card. I love all of your techniques but the water color one is very interesting & the shakers are always fun. Your beautiful cards make me want this card kit! 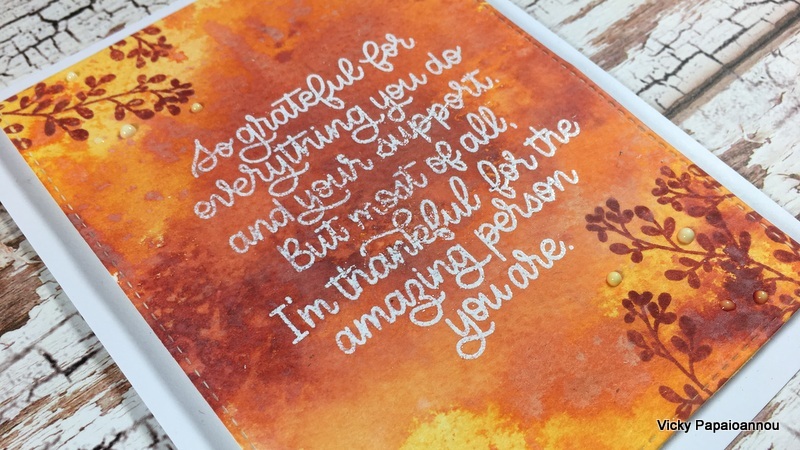 Card with tag #2 and big sentiment card. Simple yet elegant. 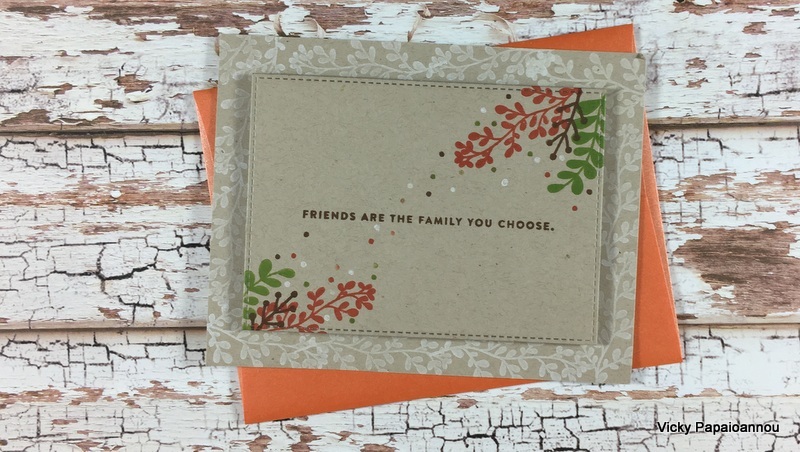 I liked the “friends are the family we choose” card best. 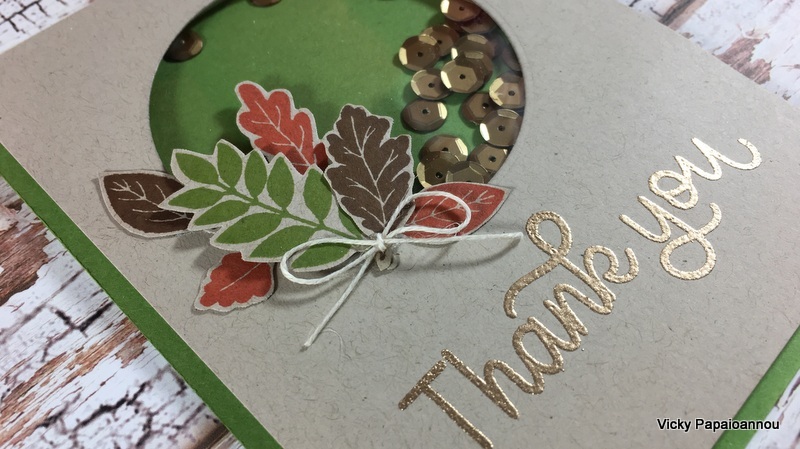 Thx for the tip about using a period for those diagonal trailing dots and the white leaf stamped border! I also loved the last one since what’s not to like about a distressed oxide smooshed background? My favorite is the first one. 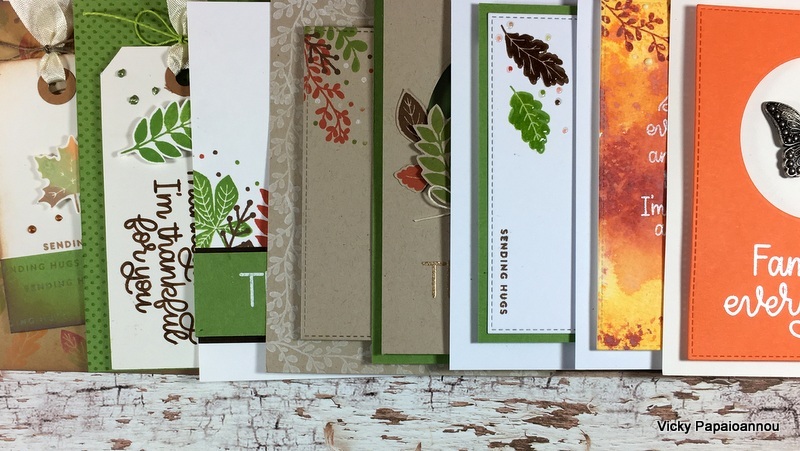 Although I just love all these fall cards. So pretty! 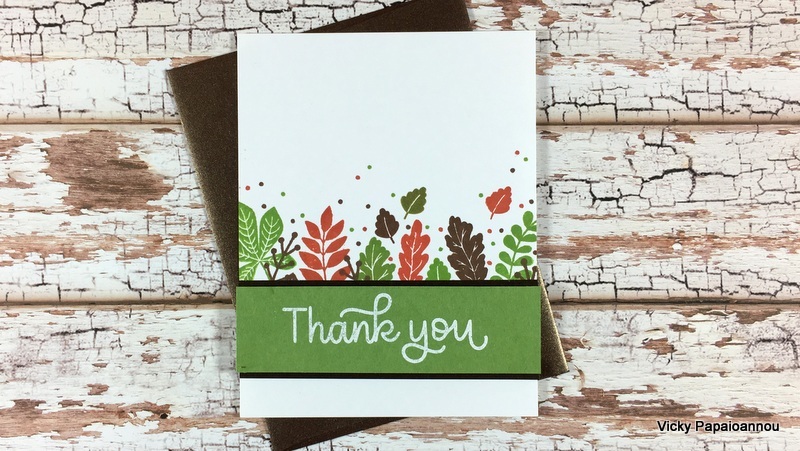 I always have a stash of thank you cards to give out, and this kit is packed with gratitude card ideas; such a lovely fall theme, too. P.S. My favorite ones are the “Thank you is not enough” and the tag one. 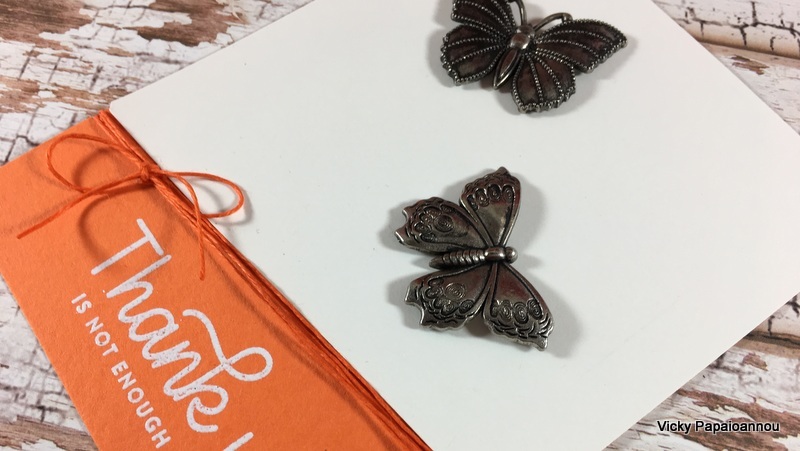 The butterfly adds texture to a simple design, and the tag card is just spectacular! Oooooohh!!!!! My favourite one is: Frienship fall card!!!! But all are beautiful!!!!!! 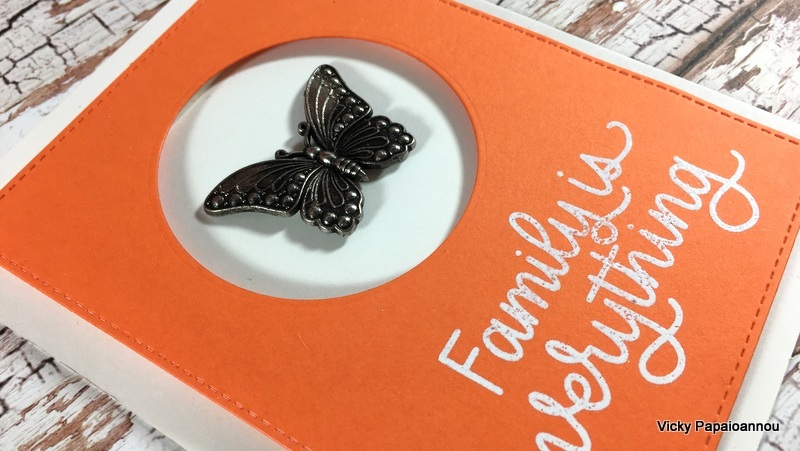 The Butterfly Cad #1 is simply fabulous!! So lovely. All the cards are fantastic! I love the smooshing one, lovely autumn colours background and lovely sentiment, the red only adds to the overal warm look. Tahnks for an amazing video, Vicky. I love the last one, the big sentiment.